UPDATE: Presale password is here. Regina Spektor is headed to the Great White Way. 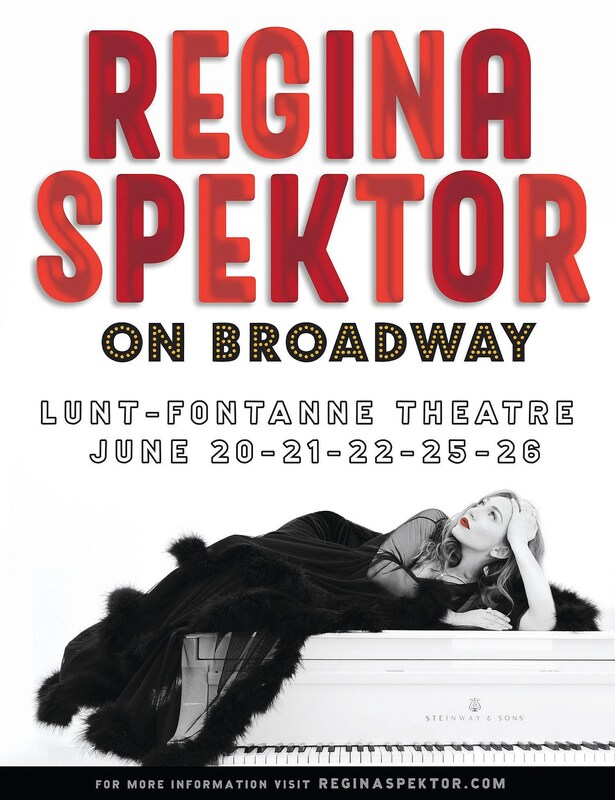 Regina Spektor: Live On Broadway happens at Lunt-Fontanne Theatre on June 20, 21, 22, 25 and 26; it’s the same theater where Morrissey’s Broadway residency happens in May. Tickets go on sale Friday, March 29 at 10 AM, and you can get them early with the BrooklynVegan presale that starts Wednesday, March 27 at 10 AM. Check back Wednesday morning for the presale password. Regina’s last album was 2017’s Remember Us To Life. See all of the dates of her Broadway residency below.